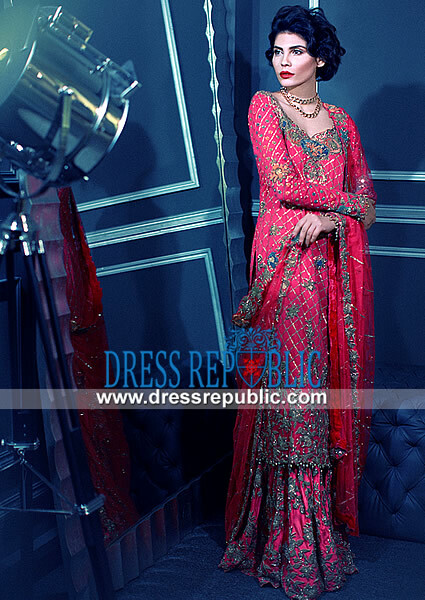 Almond chiffon front slit jacket features amazing floral, leaf, and beaded work all over. Three quarter butterfly sleeves. Silk inner. Stand collar neck; scalloped edges. 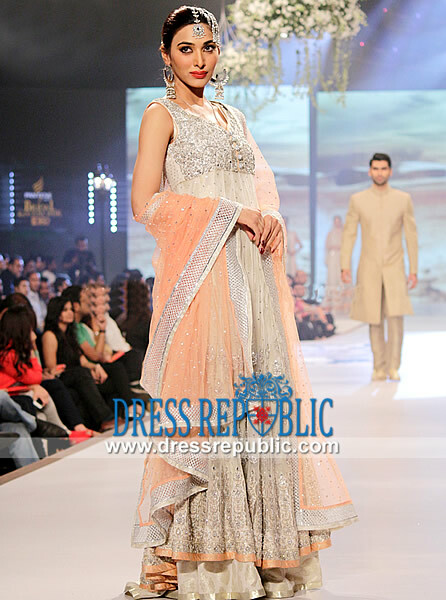 Organza jamawar flared lehenga skirt with sweeping back train features wide embellished border all around. Scalloped edges. Floral motifs made on front. 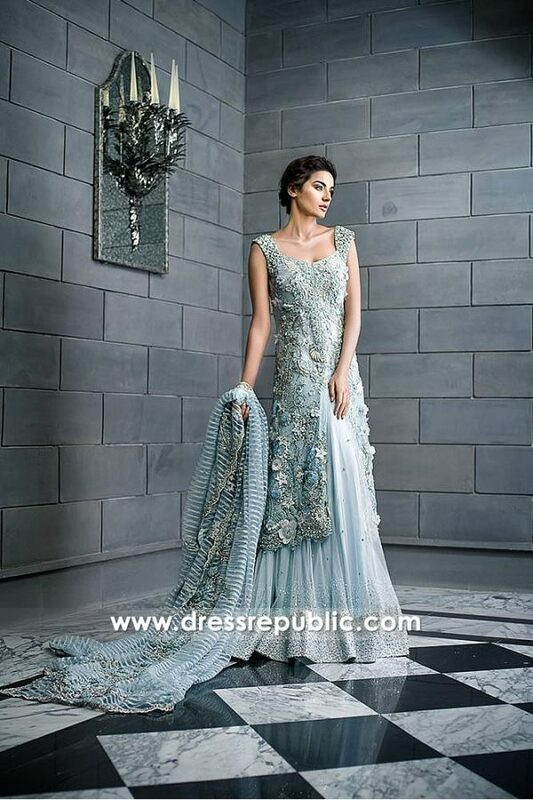 Ice mint chiffon dupatta with heavy floral work in the middle. Wide beaded border all around. Embellishment work includes sequins, beads, Swarovski crystals, diamantes, kora, dabka, naqshi, cut-glass, pearls, resham, zari French knots and badla.